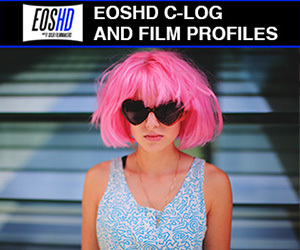 The EOSHD C-LOG and Film Profiles Pack is now available and works in both video and stills mode - on all Canon DSLRs. Crafted using my Canon 1D C as a development camera, the EOSHD Film Profiles pack installs "Canon LOG" to cameras previously without it, plus a range of film simulation modes to DSLRs such as the 5D Mark IV, 5D Mark III, 1D X Mark II and T2i, etc. Very interesting. I have fallen in love with the C-log on my XC10. And because of it, I have realized how much I had missed using Canon DSLRs as well. So recently I picked up the 50D to use ML Raw with. I know you can have a base profile with ML Raw, even though it can still be tweaked in post. 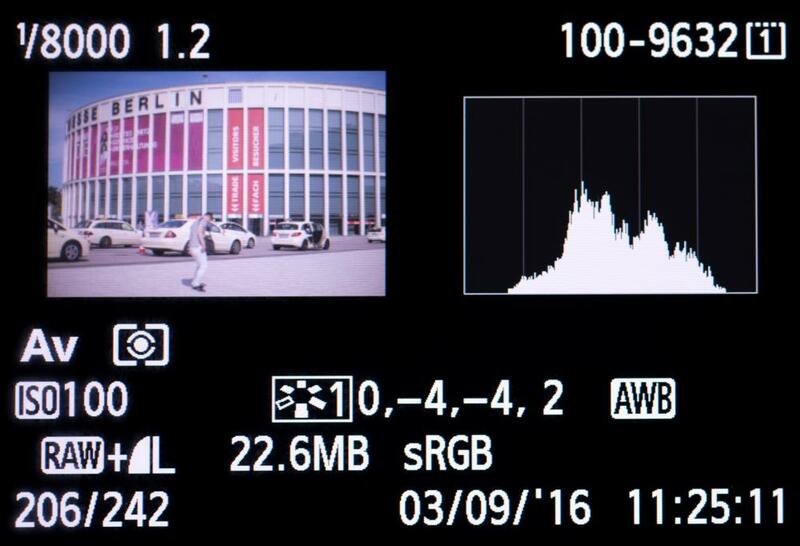 Do you see a benefit, your Log profile would have on my 50d with ML Raw? Also, as a side question I noticed your guide to the 50d raw was still listed at a sale price even though the date had passed. Did you extend the sale or just haven't had the time to update the post? Nice, upgraded to 1dx2 (from 1dx) a couple of days ago. I have also Sony A7r2 and A7s2. 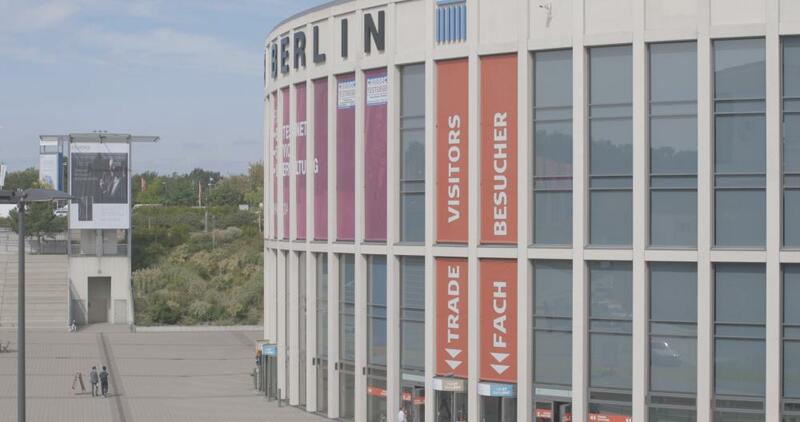 Testing now, and are impressed with the colors of 1dx2, will for sure buy the clog tomorrow. I hated the soft image of 5D3 (when shooting distant footage) and therefore went to Sony. Hi. Not sure to understand well. Basically you are offering a combination of Picture Profiles to enter in the Camera and then LUTs for post ? So to get the "Chrome" look I would have to dial a specific Picture Profile and use the matching LUT in post ? What about "C-LOG" ? I assume it's just a picture profile here ? Hi. Not sure to understand well. Basically you are offering a combination of Picture Profiles to enter in the Camera and then LUTs for post ? Custom picture profiles - C-LOG, Cinema 1, 2, etc. Obviously C-LOG is for grading. I provide some LUTs in the download to get you started. Cinema 1, Scarlett, Vivid SkinTone, etc. don't need any grading. Straight out of camera styles. No need for a LUT on those! So basically to enter the "Chrome" look I would have to dial a specific Picture Profile and use the matching LUT in post ? You load my picture profile file onto the camera via USB. Instructions provided in the guide. It is easy to do. 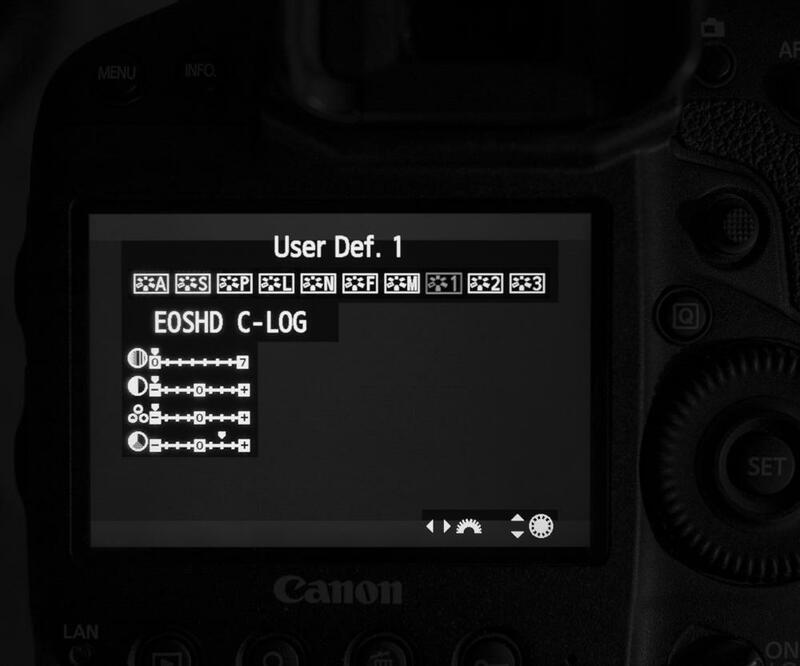 C-LOG is loaded onto the camera via USB and you select it in the picture profiles menu on your DSLR. Ok makes sense. Thanks for the explanation. I didn't know about the possibility of building custom profiles beyond the traditional settings in the camera menu (tone, sharpness, saturation, etc.). Just out of curiosity, what kind of interface do you used to build these special profile ? Is there a special software to do that ? It's just Canon PictureStyle Editor, but the real work is shooting an endless amount of subjects in all kinds of light, mixed light, day and night whilst you refine the critical gamma curve for LOG and also the remapping of colour. If you get it a hair out, you don't have a reliable LOG profile. It may sound a bit pretentious but there's an artistry to it too, it isn't an exact science especially when it comes to the Rec.709 Film Profiles like EOSHD Vivid SkinTones. I am over the moon with the results they are creating and have them on my 1D C. It was very useful having invested £5000 in the 1D C to get access to Canon LOG as well - so that I could see the benchmark, the mother of all light LOG profiles, to put mine in the same ballpark. It is much easier to grade as a result, than others, had I based it on S-LOG and copied the Sony colour mapping for example it wouldn't have been as good. So thank you 1D C. And huge thanks to Julia, my actress for the pictures you see in the article! Thanks for your answer. I'm sure it's a lot of work, trial and error and experience. Not anything I would do right now especially when I can it for $9.99 ! Good job Andrew. 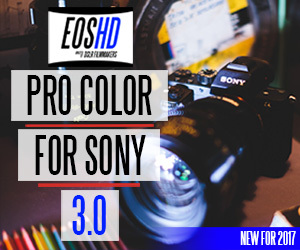 Would XC10 and EOS-M series works too? Bought this almost immediately. Using it on a 7D2 with a Ninja 2 and ProRes 422HQ. So far, so good. The 8 bit 4.2.2 seems to behave a little better than the internal 8 bit 4.2.0 h.264. The EOS-M should do! If you like, try it and if it doesn't install I'll give you the $10 back. Not sure about the XC10. The XC10 already has Canon LOG anyway. I don't think it has the compatibility with Canon EOS Utility to pass the picture profile data over USB to the camera. Great. Looking forward to seeing what your results are like. Would it be possible to do something similar with SLog2 for Sony a6000? Sounds awesome, but do you have done some measuring about the dynamic range benefit? Hi, I was just wondering how this compares to Cinestyle which I've been using on all my DSLRs for the last few years and matches pretty well to the CLog I have on my C100 and C300 MkII. How is it different? Many thanks. CineStyle is a very old profile now and dates back to before Cinema EOS and most critically before Canon LOG on the 1D C.
CineStyle does not match the curve of Canon LOG - if you install both C-LOG and CineStyle on the same camera you will see a big difference in the image, contrast and colour, mine brings the highlights into safe territory and gives you more headroom all else being equal. The blacks meanwhile look far more like Canon LOG and are raised up past the 0-16 muddy compression danger zone. If you have spent money on a LUT for Canon LOG, then applying it to CineStyle would waste a lot of the hard work the creator of that LUT did in creating the look in the first place, it would look different or off completely. I have direct experience of this myself. 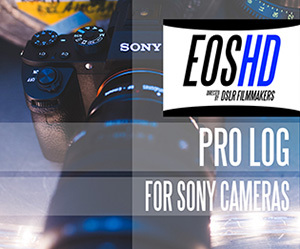 With EOSHD C-LOG it would be fully compatible. With CineStyle it would need adjustment or just look wonky / different. Sure of course you've got some nice results. But Canon LOG it just isn't. It's made for the Portrait picture profile, set to -3 contrast, -3 saturation, -3 sharpness. 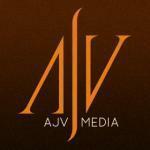 He says: "Test footage was shot with a color card, which was used with DaVinci Resolve to generate output LUTs." How precise could this method be? This looks like a really useful picture profile. I just might get it for my new 1DX II in a few days. Having never loaded picture profiles onto a Canon camera before, can you tell me how easy it is to switch from one to the other?